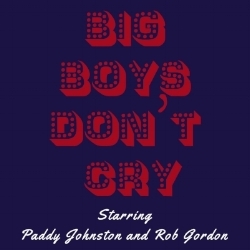 Big Boys Don't Cry is a podcast in which Paddy Johnston and Rob Gordon discuss romantic films. It’s about time we talked about About Time! We continue our journey into the Curtisverse this week, which leads us into a discussion of what we’d do with time travel powers, Bernard’s Watch, and the handsomeness of Eric Bana. The Sherman Report is a podcast in which Paddy Johnston and Rob Sherman discuss art, technology, work and creativity.